Salsa Night will take place at the Expo Center and is sponsored by .US. Featuring Latin Grammy Winner Andy Montañez, the event will start at 7pm and present everyone with the opportunity to dance the night away. Directions: From the main lobby of the Hilton hotel, leave the hotel along the left-hand-side by the shops. When you reach the end, cross over the road and the Expo Center is directly ahead of you. Puerto Rican night will take place at the Puerto Rico Tourism company offices at La Princesa Building, 2 Paseo La Princesain in Old San Juan. It's a delightful old Spanish-style building. It is sponsored by Turismo with entertainment from Areyto - Guamanique. There will be craft artisans displaying their crafts, traditional music, folk ballet, as well as finger foods. Bacardi is sponsoring the bar. Buses will be leaving the Caribe Hilton in rotation between 5pm and 7pm. The Gala Dinner will take place at the Expo Center from 7pm and is sponsored by .Org and VeriSign, with entertainment from Tuna de Bardos. Directions: From the main lobby of the Hilton hotel, leave the hotel along the left-hand-side by the shops. When you reach the end, cross over the road and the Expo Center is directly ahead of you. Located just 15 minutes from the airport, between the business district and Old San Juan, this beachfront property offers 24 meeting rooms and more than 65,000 sq. ft. of flexible meeting space, including San Juan’s largest ballroom of 10,856 sq. ft. and a 15,700 sq. ft Exhibition Hall. 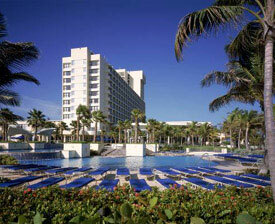 The resort has 646 guest rooms, with suites having balcony or terrace views of the Atlantic Ocean or Tropical Gardens. The rooms are well equipped with wireless high-speed internet. Puerto Rico has beautiful beaches, tropical landscapes, and 500 years of Spanish cultural influence. We’ll help you experience it all, so your group sees more than just the hotel and the airport. Puerto Rico is historic and cosmopolitan, exotic and accessible. Let us introduce you to its charms! Puerto Rico is 100 long by 35 miles wide and as a result of its geographical position in the center of the arc of the Antilles, Puerto Rico is essentially a crossroads of Hispanic and Anglo cultures. Despite it is very diverse influx of cultures, Puerto Rico has been a part of the United States since 1898 and Puerto Ricans have been U.S. citizens since 1917. Since the first humans came ashore thousands of years ago, the island that is now known as Puerto Rico has sheltered Indians, Spaniards, Africans and Anglos. The Spaniards had the earliest and greatest influence to the Island at their arrival in 1493. During their 400-year tenure the Spaniards laid the bedrock of the language and culture. They built cities and towns, fortresses and churches, lighthouses and roadways. They brought slaves from Africa to work in the fields, who, in turn, contributed the spice of their culture, enriching the language, music and diets. San Juan is everything you want it to be. A sophisticated hub for business and commerce. A picturesque home to more than one million people, where old-world charm and historic architecture blend with modern-day comforts and technology. Located just minutes from forts dating back to the 16th century are the world’s most prestigious hotel chains and ultra-chic shopping centers. As the main point of entry for the Caribbean, San Juan is easily accessible with direct flights from major cities in the United States, Latin America and Europe. The capital city’s many historic buildings and hotels are ideally suited to accommodate events of all types and sizes while the nearby beaches, entertainment venues and miles of pristine natural beauty will provide your attendees with a variety of activities. In San Juan you’ll find a meeting destination unparalleled anywhere else in the Caribbean. San Juan was recently designated as a BestCities member, the world’s first and only convention bureaus alliance with eight partners on five continents. 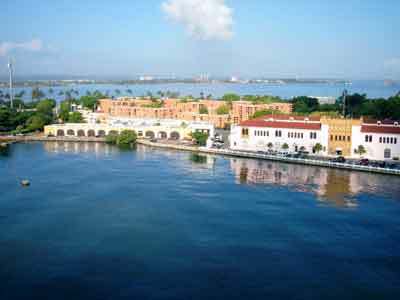 It is also the only Spanish-speaking city in the alliance and the only one in the Caribbean and Latin America to receive such a distinction. As a BestCities member, visitors are guaranteed a level of expertise unprecedented anywhere else in the Caribbean. Choosing a BestCities destination, like San Juan, provides you with unique data, information and the best service practice exchange process. As most big cities, San Juan has law enforcement officials that are constantly seen on patrol in the main tourist areas. Residents and tourist are able to walk around freely day and night. Visitors in San Juan can easily seek assistance or information from English-speaking policemen especially trained to deal with tourists and their needs. The 29th International Public ICANN Meeting in San Juan, Puerto Rico, has concluded. You can still use your login at http://public.icann.org/.